This case is handmade by me. 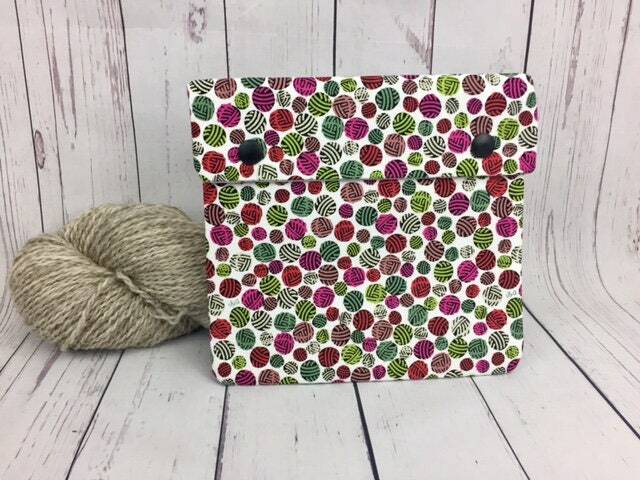 I sized to fit easily into a knitting, project bag or tote. It is easy to take with you and carry what you need on the go. I used snaps instead of buttons or zipper because they are easier to open and will not snag on your yarn projects. No worries about your contents spilling out. The top fold fits snugly in place when snapped shut on top. The design of this case prevents spillage. 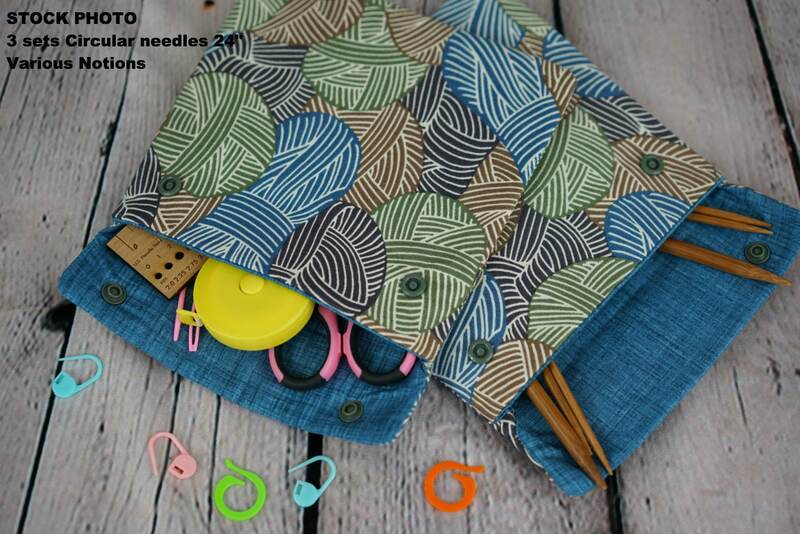 --These are great to store your needles by needle size. --Sturdy interfacing that prevents contents from poking through and provides a rigid construction. --Cotton Fabric. The inside and outside fabric coordinate with each other. **If you would like a coordinating bag or other pieces you see in my store-Please convo me. Made in a smoke-free home and pet free studio.